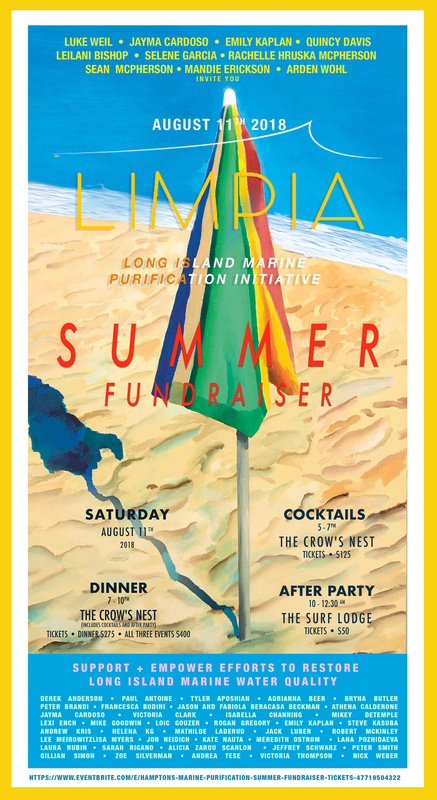 Limpia, [meaning 'clean' in Spanish] is the Long Island Marine Purification Initiative, a 501c3 non-profit organization working to create awareness and inspire lasting change around the very real problem of water quality on the East End. The issue of water quality in Montauk and surrounding areas of the Hamptons is something most are unaware of as the image that likely comes to mind is that of pristine waters and unspoiled natural environments. Sadly, this is not the case as environmental pollutants, outdated infrastructure and a year-round population increase is leading to toxic conditions in many of the waters frequented by residents and visitors. Initial testing has shown unsafe levels of contamination throughout the area, but the good news is that there are measurable actions that can be taken to reverse this fate, cleaning up and protecting these waters for generations to come. Find out how you can help. Who we are, what we do, and why we are doing it. Interested in doing your part? Here's now.